After graduating from New York University College of Dentistry in 1978, Dr. Daniel G. Pompa completed a General Practice Residency at Long Island Jewish Hospital, followed by specialty training in Oral and Maxillofacial Surgery at Lincoln Hospital, New York Medical College. In 1982, he became a Fellow of The American Association of Oral and Maxillofacial Surgeons and in 1992 a Fellow in The International Congress of Oral Implantologists. Dr. Pompa is an author with four courses on-line and has published in journals such as: The Journal of the American Dental Association, Dentistry Today and the New York State Journal of the Academy of General Dentistry. 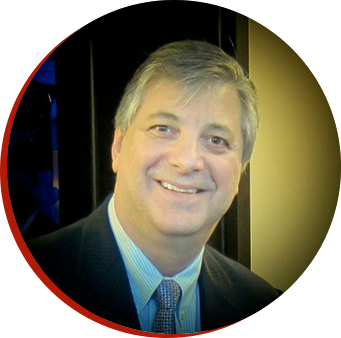 He has been featured as a Seminar Series Speaker/Consultant for the American Dental Association. 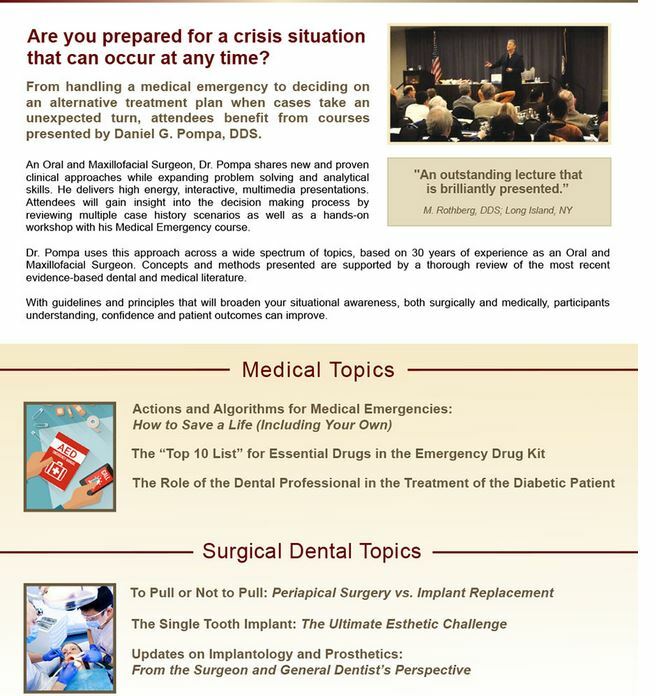 Dr. Pompa is now a Colgate Speaker and has a course “Medical Emergencies in the Dental Practice” on the Colgate Website. In the December 2017 issue of Dentistry Today, Dr. Pompa was cited as a “Leader in Continuing Education for 2018”. He has presented over 500 lectures both Nationally and Internationally. Dan has published numerous articles, which are all available on the website: www.APS4DDS.com. Dan practiced for over 30 years in New York and now lectures full-time. He has organized several Charity Golf Tournaments to raise money for our Veterans at the Northport VA Hospital and is now the host of the "New York Classic Film Club" which is in its fifth year and meets at the Port Washington Public Library on Long Island, New York. He is also an inventor, having been issued a U.S. Patent for his contribution in developing a protocol for CT Guided Surgery in Dental Implantology. His patent (U.S. Patent #5,320,529) is cited today by over 250 patents.